The small sumps in a workshop should only function but, in reality, they are more likely to suffer from bacterial outbreaks, the life length of the process fluid is shorter and the safety routines are looser. Process fluid concentrate and biocides are poured in by those who have time and often no one has the main responsibility for each sump. Therefore, the Swedish clean-tech company Wallenius Water Innovation has developed a UV purifier designed for small sumps (500-1500 liters): FluidWorker 100. It is equipped with self-cleaning technology, which means that it is basically maintenance free while the price has been pressed down. Like previous FluidWorkers, bacteria are reduced in metalworking fluids and other process fluids by irradiating the liquid with UV-C, which reacts with the bacteria's DNA and makes the cell unable to reproduce. The bacteria are kept at a constant low level, ensuring a stable production and a long life cycle of the fluid. The biggest advantage is that employees are not exposed to harmful biocides. The EU is working actively to restrict the use of the most dangerous biocides, and some of them must soon be phased out. But it is a long-term work and, in the meantime, as an existing biocidal product is being investigated, it may be used in the workshop. “Workshop workers who handle biocides risk airway problems, eczema and other allergic reactions, and in the worst case cancer, sterility and birth defects. 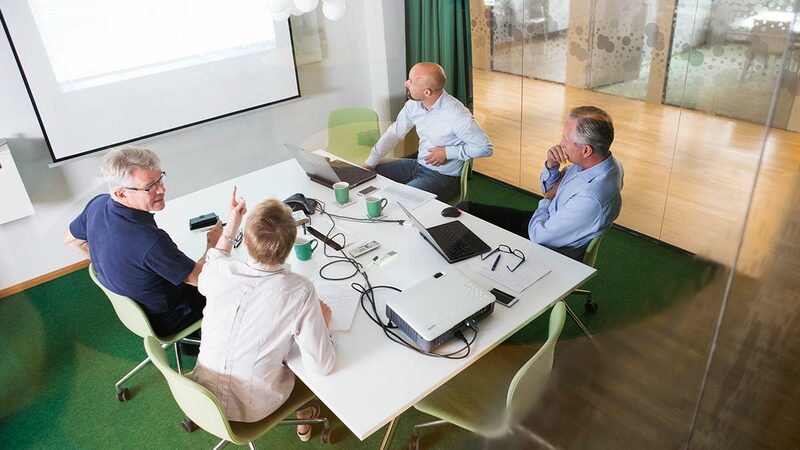 Using innovative technologies, it is possible to phase out the hazardous chemicals, “says Hans Ahlgren, Marketing Manager at Wallenius Water Innovation. 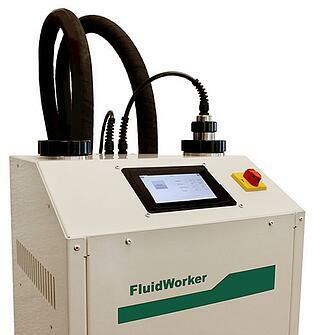 FluidWorker 100 has been developed in close dialogue with customers. During spring 2017, the product has been tested at major engineering companies. "We received many valuable views that we incorporated in the final design process. After two years of intensive work, we can now finally launch our smallest and most cost effective UV purifier ever, "says Hans Ahlgren.